The Highway Trust Fund is a bit like Social Security–everyone acknowledges that it is underfunded and broken, but can’t agree on the best solution. Going into the midterm elections, many observers are hoping that President Donald Trump will be able to pull together the votes for a infrastructure bill. One of the challenges this legislation would need to overcome is funding. Efforts to make the Highway Trust Fund solvent long term by creating a vehicle-miles-traveled (VMT) fee are gathering support, but bumps remain on the road to passage. “I’m open-minded to all solutions, but a vehicle-miles-traveled user fee seems to capture all users, which gets us the funding we need to fix our roads and bridges and allows us to look forward to those transformative projects that will slingshot the United States ahead of the rest of the world,” Highways and Transit Subcommittee Chairman Sam Graves (R-Mo.) told a trucking industry magazine in March. Graves has said that he and his committee members will review other possible ways of boosting transportation funding. However, congressional Republicans have been hesitant to sign off on raising the gas tax, the traditional way of raising new funding for roads. The VMT is a possible alternative to a gas tax increase, one aimed at tying a user fee to how drivers use roads. In practice, this means setting up a system which charges vehicles based on the miles they drive. Depending on the details of the system, this could be a flat fee per mile, or a variable rate fee that took into account the time of the drive, congestion, or other factors. Proponents of the tax say that it continues the user-fee model which is generally supported for transportation funding. Furthermore, it makes trucks, which are heavier, pay a greater share of road maintenance costs. When the issue was raised last summer, the VMT was rejected rather soundly by American Trucking Associations, the largest national trade organization for the industry. Trucking industry groups pushed back on the proposal, since it would ultimately raise their operating costs. “A vehicle miles traveled tax might be the answer, but it is extremely expensive to collect and before such a tax can ever be implemented, there are serious issues related to privacy, data security, and evasion, that would need to be addressed,” writes Chris Spear, president and CEO of ATA. The idea has only been tried on a limited scale in the U.S. Currently, Oregon and California have conducted VMT pilot programs and are exploring adopting such a tax. In these pilots, drivers volunteered to participate in the VMT in exchange for a waiver of their state gas tax. Thus far, these studies have been relatively small, involving only a few thousand cars. Even in these limited conditions, it has encountered problems accurately tracking miles in a way that preserves driver privacy. Both California and Oregon gave drivers participating in the VMT pilot programs a range of options on how much information they wished to report. These ranged from allowing full GPS tracking, a smartphone tracker, a simple reporting device without GPS, or paying a flat fee. The GPS and smartphone-tracking options, while the most accurate, have raised concerns from privacy advocates who are uncomfortable with the idea of sharing a driver’s exact location. Defenders of the VMT say that the systems do not release exact location coordinates or times of travel. The difficulty is that adding these layers of protection for drivers risks making the entire system easier to defraud by hiding some of the details of vehicle locations. Nevertheless, the Trump administration recently praised the Oregon model, touting it as a model for nationwide implementation. At the end of the day, the differences between a gas tax increase and a VMT are hard to estimate. A gas tax charges drivers to pay for roads. 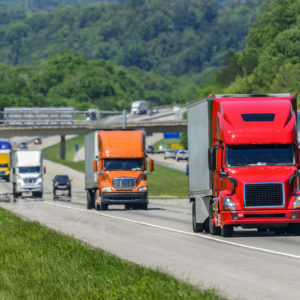 A VMT could raise the costs of goods for consumers as trucking companies raised rates to maintain their profit margins. In the meantime, the costs to set up a VMT system would delay many of the proposed benefits. Even so, the idea continues to be popular. A group called the I-95 Corridor Coalition is testing a VMT proposition in Delaware and Pennsylvania early this year.